Many of you have probably seen commercials lately pushing heavily for mobile broadband. It's all the rage for road warriors who need to get high speed internet access while out in the field with their laptops. In past years, many have found ways to tether their smartphones to their laptops to get access. Although this is a great way to get mobile broadband, some providers have been known to shut down accounts doing this. Things have progressed quite far ahead lately where laptop EVDO and EDGE PCMCIA and USB cards are affordable to the masses. High speed wireless cards are great but with one downfall -- it's a one user device. Or is it? In a recent trip outdoors, I was scratching my head trying to find a way to bring broadband access to 20+ people. 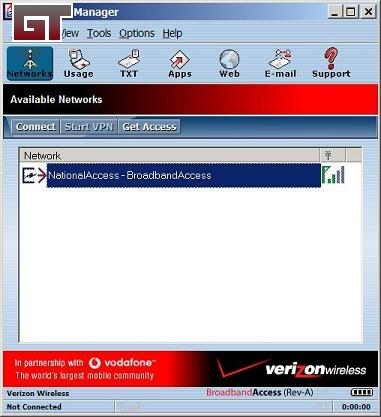 I had one Verizon Wireless laptop USB card and a basic 802.11g wifi router. After tinkering around for an hour or two, I found a way to share that single cellphone connection amongst everyone. 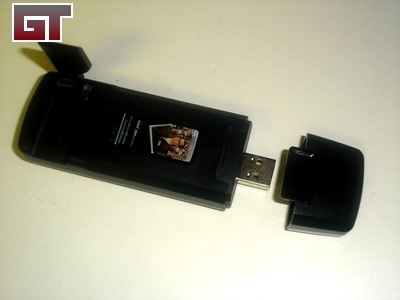 The basic idea of how this works is to enable internet connection sharing on one host laptop that has the EVDO/EDGE card. Through that, we can bind it to the network port and share that through the wifi router. Reset your router to default settings. Disable DHCP. Connect to your EVDO/EDGE service. Enable ICS and bind it to the Network Port. Disconnect and re-dial your EVDO/EDGE service. Physically connect a Cat5e network cable from NIC to one of the switch ports on the router. Go into your wifi router and check options. Now let's explain what we're doing here. 1 - We disable DHCP on the wifi router because DHCP will be taken care of by the host laptop now. Since we are using Internet Connection Sharing (ICS), it will provide the IPs needed. 2 - Connect to your EVDO/EDGE service just to make sure it works. Sometimes it doesn't let you bind to your network port if it isn't active. 3 - Once you enable ICS, you will be given the option to bind the active connection to another port. We will be using the network port on the laptop to bind the connection to. 4 - After saving your settings, re-connect to your EVDO/EDGE connection to enable the changes you just saved. If you now go into your TCP/IP properties of your network port, you will see that a static IP was set for you as well as a gateway. This is a good sign as it tells you that ICS is working. 5 - You will now connect a Cat5e network cable (straight) from your network port to one of the switch ports on your wifi router. DO NOT plug into the WAN port of the router. 6 - Go into the admin portal of your wifi router and set up your options. You can enable encryption just like you would a regular broadband connection. 7 - Now have other laptops connect to your router over wifi. They should be able to connect and use your EVDO/EDGE connection over wifi. For my testing, I used a Dell Latitude D820 running Windows XP Professional with a Verizon Wireless USB card and a Netgear WGR614 802.11g router. 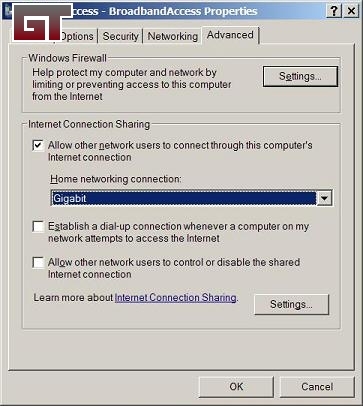 I tested using Windows XP and Vista laptops as clients and they connected to the wifi router and received correct shared IPs without a problem. The only downside to this setup is that you will always need a host laptop to keep the connection alive. However, commercial offerings that perform this exact function cost upwards of $250.00. A popular option is the Linksys WRT54G3G-ST, but after paying for your EVDO/EDGE card and monthly service do you really want to shell over another $250.00 to share this connection? Some folks may also wonder why not just set up everything in ad-hoc mode. While ad-hoc is useful in smaller groups, my instance of 20+ laptops to configure for ad-hoc was not something I wanted to do. You will need to set up the SSID and channel as well as issue static IPs on each laptop manually. There are also limitations of signal and bandwidth while in ad-hoc mode. I think the method described above is far easier for large groups. I hope this guide helps folks out on the road. Give us a shout on the forums if you got this working for your purposes.